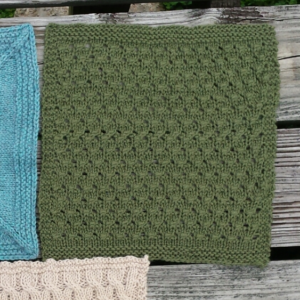 I usually write my posts ahead of time and have them queued up for Monday, but I spent this weekend knitting and hanging out a bunch with my kiddos. It was such beautiful weather here, we spent hours at a time outside. 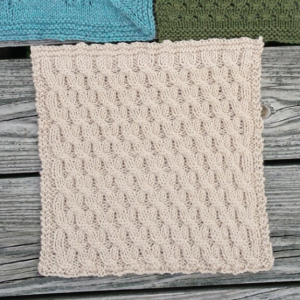 This past week, though, I got all caught up on my Knitterati Afghan blocks. Well, except for the squirrels, hearts and weird leaf-pocket one; I’m not making those. 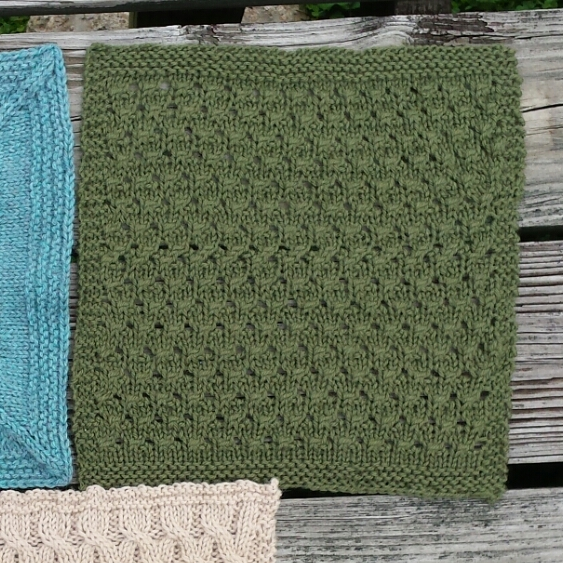 The last two are blocking, but I can show you pictures of the three I have finished. This one took quite a bit of yarn, thanks to all those cables. It blocked out nicely, though. This one was fun and fast to do. I did get tripped up and you can see a row there that’s not quite right. Like I’ve said many times before, though, “Finished is better than perfect” and I am moving on. 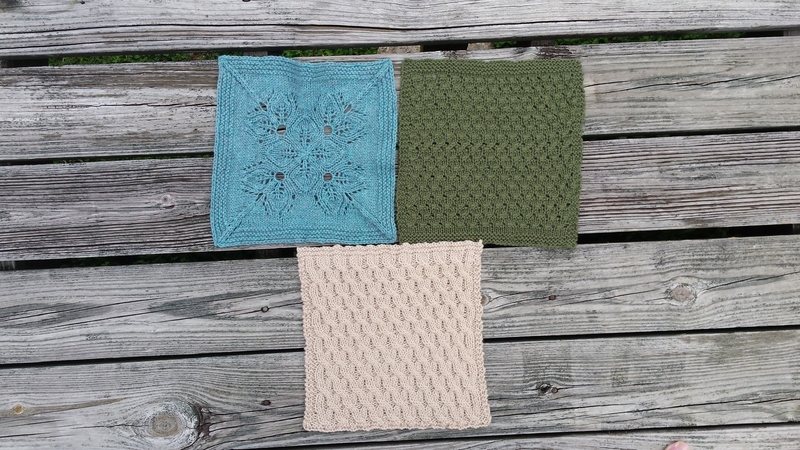 I started and finished blocks 7 and 8 this weekend, but it’s rainy today and they’re drying so I don’t have good pictures of them for you this week. 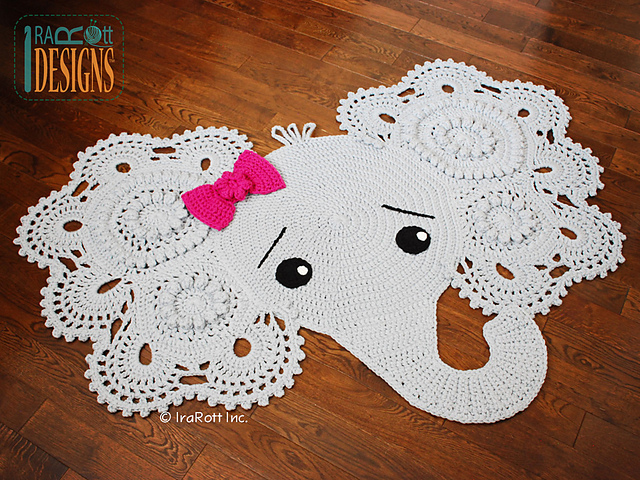 I also managed to finish the crochet elephant’s ears this weekend. 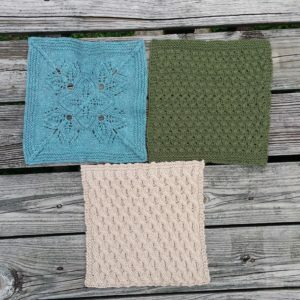 I have to block them before I can sew everything together, and since my blocking board is taken up with the afghan blocks, the elephant will have to wait until later in the week. 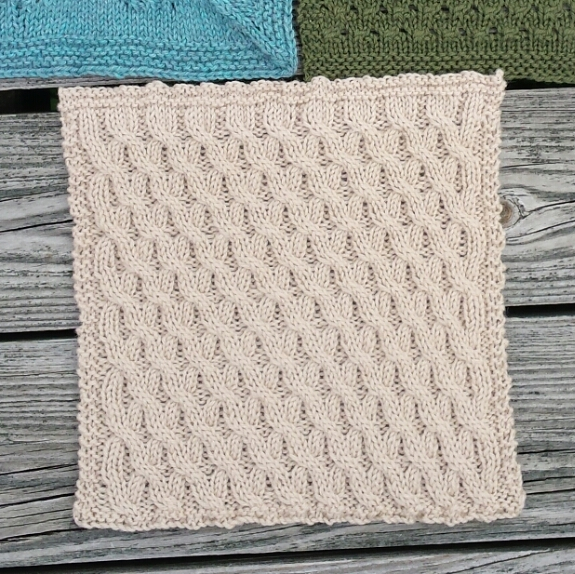 I’m trying to decide whether to put the tusks on the doily, though. 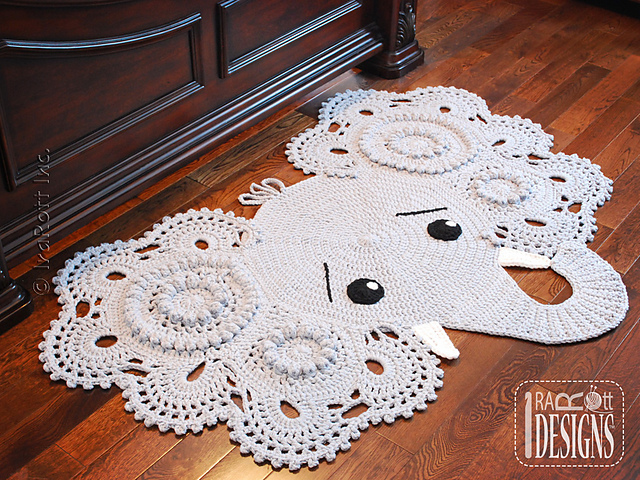 While they’d be quick and easy to make, I like the idea of having a baby elephant for my baby boy. What do you think? Cascade stopped sending the codes (can’t find out why) and I don’t have the last three. Weird. Do you think they may have gone to your spam folder?